STAFF, users and community groups have just three days to have their say on the physical layout of libraries and contact centres which are to be integrated on a single site in six Borders towns. 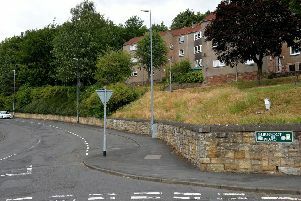 The controversial merging of these services in Jedburgh, Selkirk, Kelso and Innerleithen, along with the Berwickshire settlements of Duns and Coldstream, was approved by Scottish Borders Council in December 2010, after elected members heard it would save £130,000 a year in property and staffing costs. Last month saw the end of a consultation on the opening hours of the joint services. It has now emerged that on April 16, the council published the layouts for all the integrated sites, except Selkirk where a decision of whether the town library or High Street contact centre should host the service is pending. And the public has only until this coming Sunday – April 29 – to submit its views on how the chosen sites should be adapted to deliver two very different services using multi-tasking staff. The user, who does not wish to be named, noted that SBC had issued no details of how much the proposed conversion works in Jedburgh would cost or if Historic Scotland had been asked for its views on the potential detrimental impact on property, given that the new layout in the town’s “beautiful B-listed Carnegie Library” will require Listed Building planning consent. On Tuesday, a spokesman for Scottish Borders Council responded: “We are now asking for comments and feedback from staff, users and community groups on the layouts of each of the sites [except Selkirk]. Once the final specifications have been agreed, we will then go out to tender for one company to complete the work. “The timing for this feedback is to allow the tender process to progress. All the layouts have been through several iterations with architects, managers, staff and suppliers, and the level of changes [as a result of feedback] is expected to be minor. “The cost of the conversion work will only become available after the tender process is complete. For all the sites, including Selkirk, a sum of £360,000 of capital has been allocated to implement the integrated services. Meanwhile, the SBC spokesman confirmed that a consultation on the opening hours, which ended on March 18, has been “finalised and agreed”. Under the new arrangements, the integrated service will operate in Jedburgh for a total of 25 hours a week, compared with the current 33 library hours and the 38 hours 15 minutes when the public may access the contact centre Monday to Friday. The joint facilities will run from 10am till 1pm and 2-5pm Monday and Thursday, 2-7pm Tuesday; 10am-3pm Friday; and 9.30am-12.30pm Saturday. It will close on Wednesday. Selkirk will experience the same total cut in opening hours, but the service will be available six days a week instead of the current five: from 10am-1am and 2-5pm Monday; 2-7pm on Tuesday; 10am-1pm Wednesday; 2-5pm Thursday; 10am-3pm Friday and 9.30am-12.30pm Saturday. The changes are less radical in Kelso and Innerleithen. In the former, the library will retain its 33 hours, which is three hours and 15 minutes less than current contact services are delivered. The joint service will start at 10am daily – an hour later than at present – but it will be available until 7pm on Tuesday and from 9.30am till 12.30pm on Saturday. Finally, in Innerleithen, the integrated service will open for 16 hours, increasing access to contact centre facilities by one hour and 15 minutes. It will close on Thursday, but will operate from 9.30am till 12.30pm on Saturday.